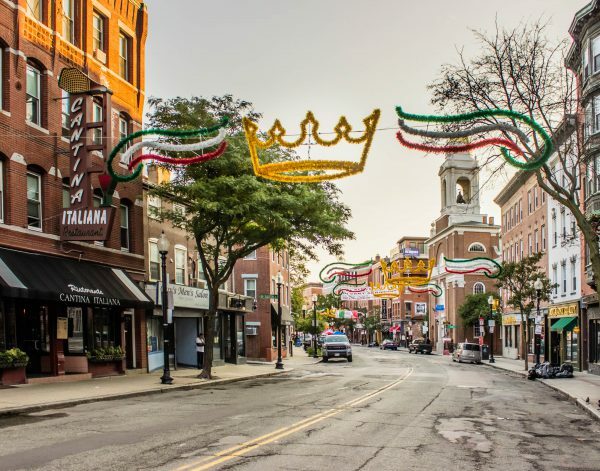 Hanover Street in Boston’s North End during one of the Italian festivals. This was to celebrate the Feast Day of a St. Agrippina. This entry was posted in Uncategorized on October 28, 2018 by milfordstreet. 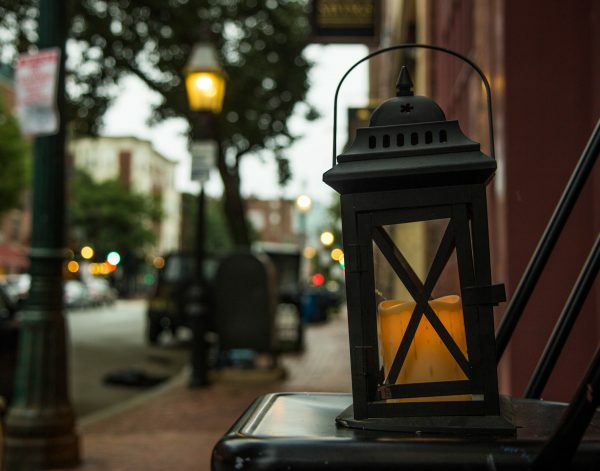 Walking on Charles St one Sunday morning, I spotted this lantern on a chair. There was a sign that there chair was for sale and I had the sense the lantern had been there all night. This entry was posted in Uncategorized on October 26, 2018 by milfordstreet. Sorry, no fish or other sea creatures. 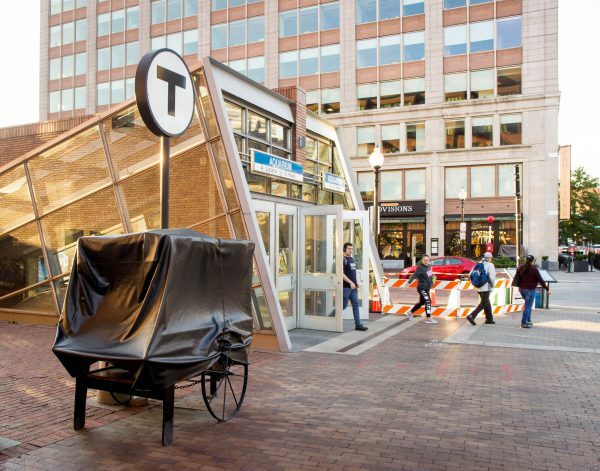 “Aquarium” is the name of a metro stop near the New England Aquarium. I like the geometry and the people i this image. Cheers! This entry was posted in Uncategorized on October 21, 2018 by milfordstreet. 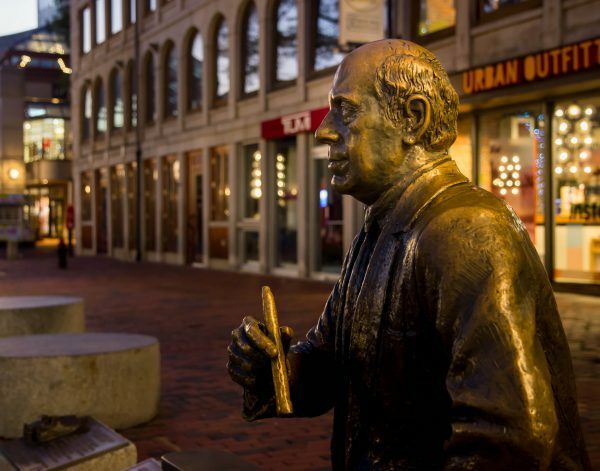 A statue of legendary Boston Celtics coach Red Auerbach at Quincy Market. He is seated on a bronzed court side bench next to a bronzed pair of Larry Bird’s shoes. Those shoes are big and almost everyone who passes puts his or her foot on them to compare sizes. It’s fun to watch. This entry was posted in Uncategorized on October 20, 2018 by milfordstreet. 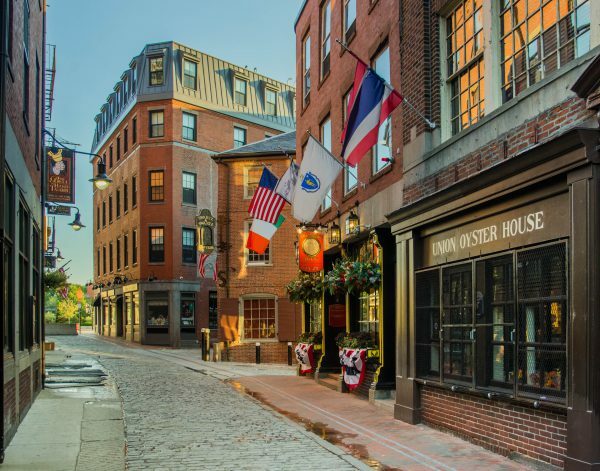 This is one of Boston’s oldest streets. This entry was posted in Uncategorized on October 14, 2018 by milfordstreet. A Red Line train on its way to Alewife Station in Cambridge. 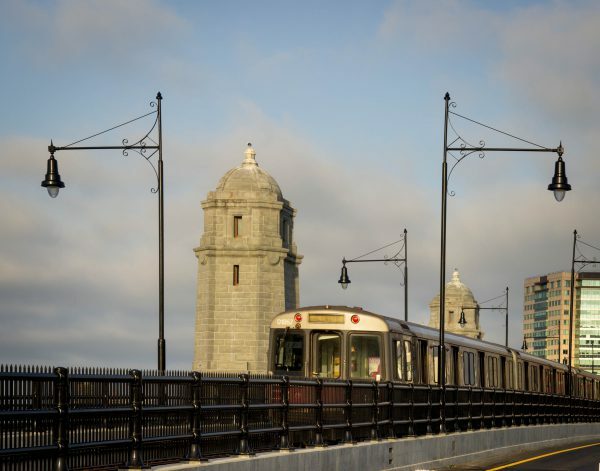 It is passing over the Longfellow Bridge. This entry was posted in Uncategorized on October 13, 2018 by milfordstreet. 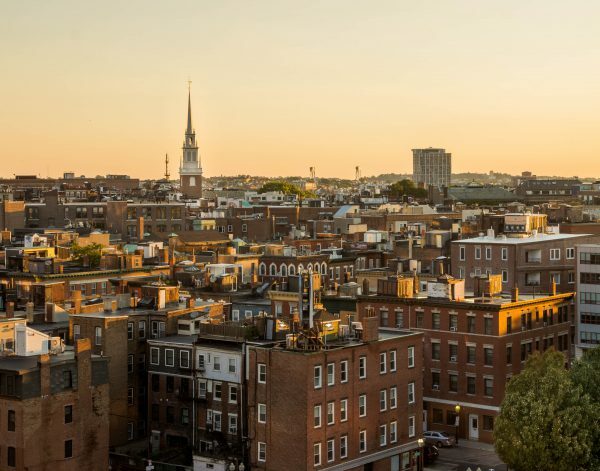 This is one of Boston’s oldest neighborhoods. It has resisted modernization despite being close to downtown. It has a bit of yesteryear charm. It took three visitis on three separate days to make this image. The light was just not quite right the first two days. This entry was posted in Uncategorized on October 7, 2018 by milfordstreet.